Gavin Newlands, the MP for Paisley and Renfrewshire North, has congratulated Johnstone Pipe Band and his constituent from Inchinnan, Pipe Major Keith Bowes, after obtaining 1st prize in Grade 2 and 9thfor Grade 4 at the World Pipe Band Championships in Glasgow at the weekend – the most successful year in the Pipe Band’s history. The World Pipe Band Championships were attended by 230 pipe bands and 8,000 pipers and drummers from across the world to Glasgow Green compete in the competitions. 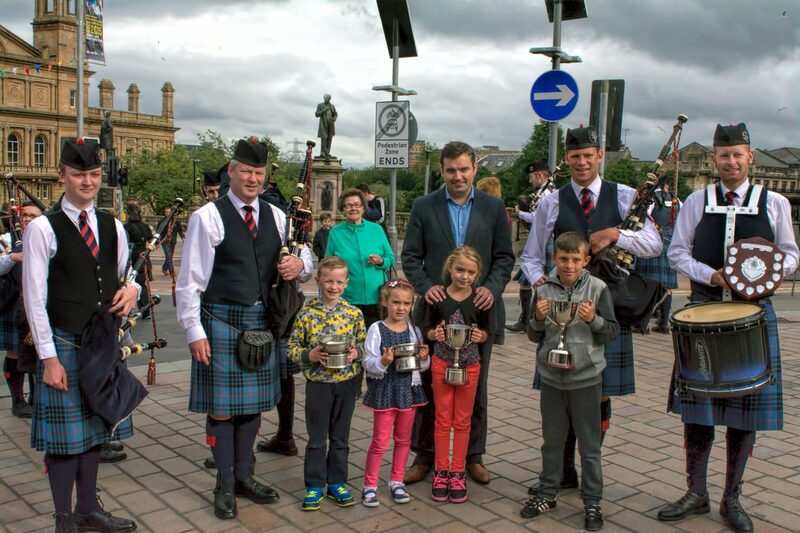 “Congratulations to Johnstone Pipe Band on their most successful year in their history – and a special congratulations to Pipe Major Keith Bowes Jnr on an outstanding start to his new role. “I was shocked when we won because it was my first year as the Pipe Major after taking over from my Dad, who served for 20 years, last year. “It is quite fitting that my Dad won Grade 3A last year and I’ve picked up the baton and we’ve won Grade 2 this year.